I LOVE dumplings so much! The looks of dumplings seems almost the same at first in each restaurant, but the taste completely differ depending on the place. Tastes are influenced by not only ingredients but also cooking methods such as boiling, pan-fry, and deep-fry. I love pan-fried dumplings because the skin will be nice and crunchy. In terms of ingredient of dumplings, a large amount of garlic is very important for me. Although it’s necessary to care about my breath dumplings thickly flavored with garlic are awesome and make me so happy! 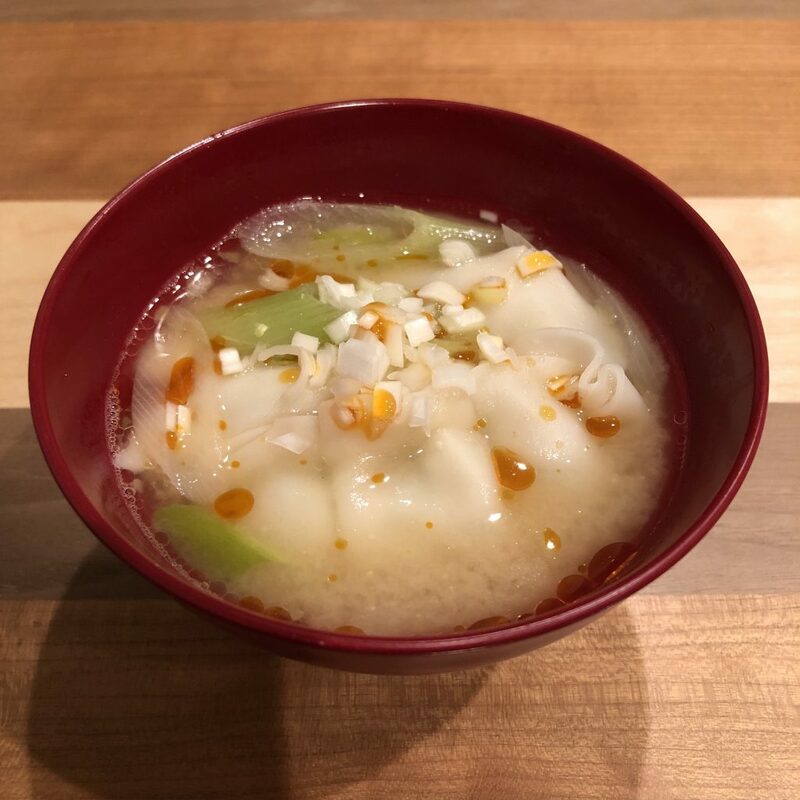 A soup with dumplings are not mainstream for pan-fried dumplings lover, but this is good opportunity to make delicious soup! 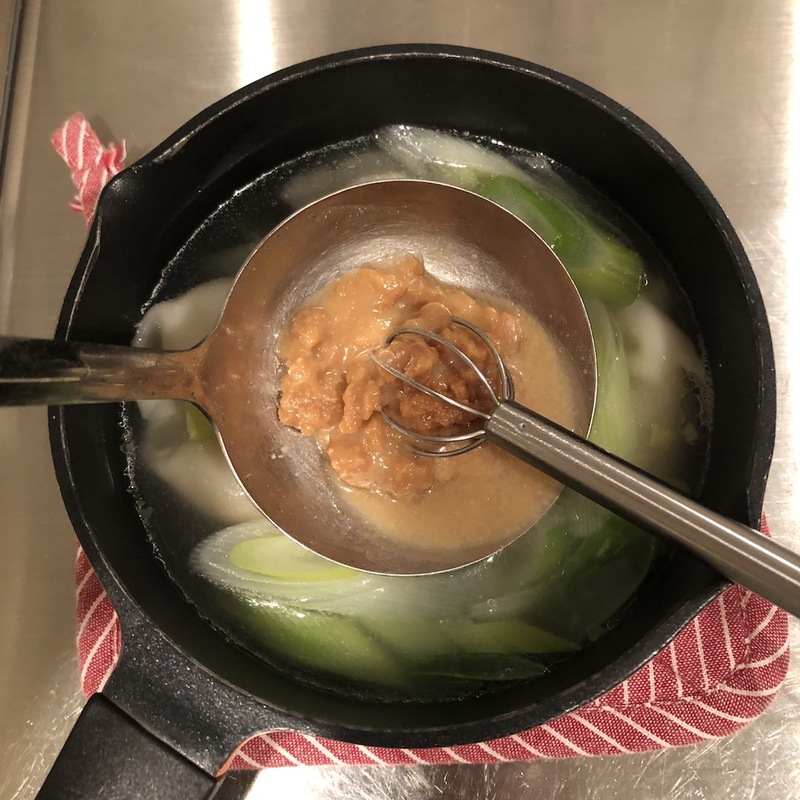 I’ve never try combination of miso paste and dumplings, let’s see if it can impress me. To make it simple I use frozen dumplings this time. 1. 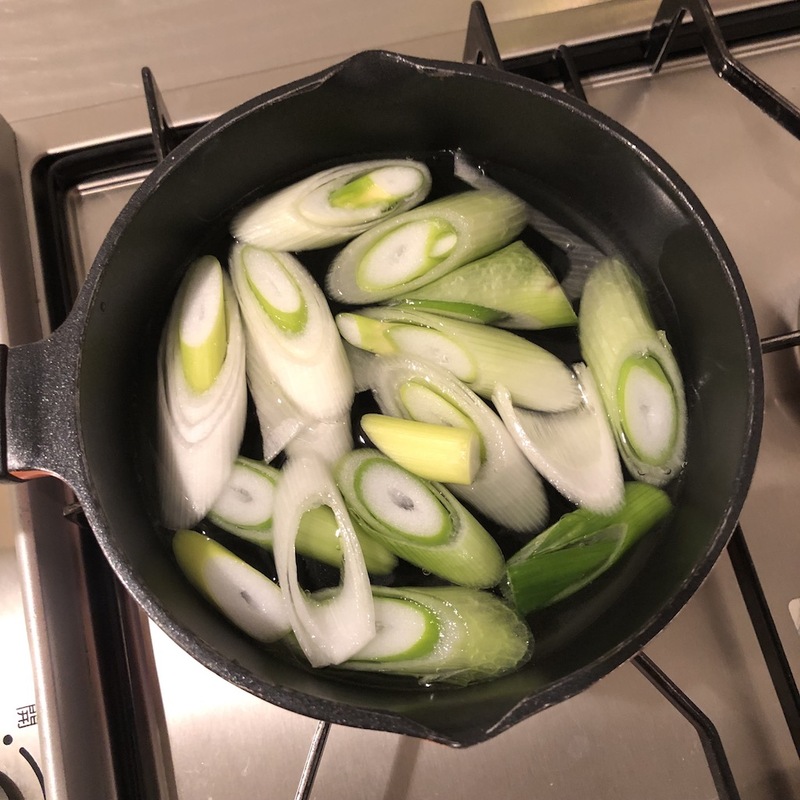 Heat water and green onion in a saucepan. 2. Once it boils add dumplings and dashi granules. Simmer again for 3 min, and remove from heat. 3. Add miso paste and stir until miso is completely melted. Put chili oil and minced green onion before serving. Wow! 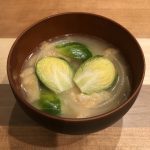 Miso soup with dumplings is definitely amazing soup!! 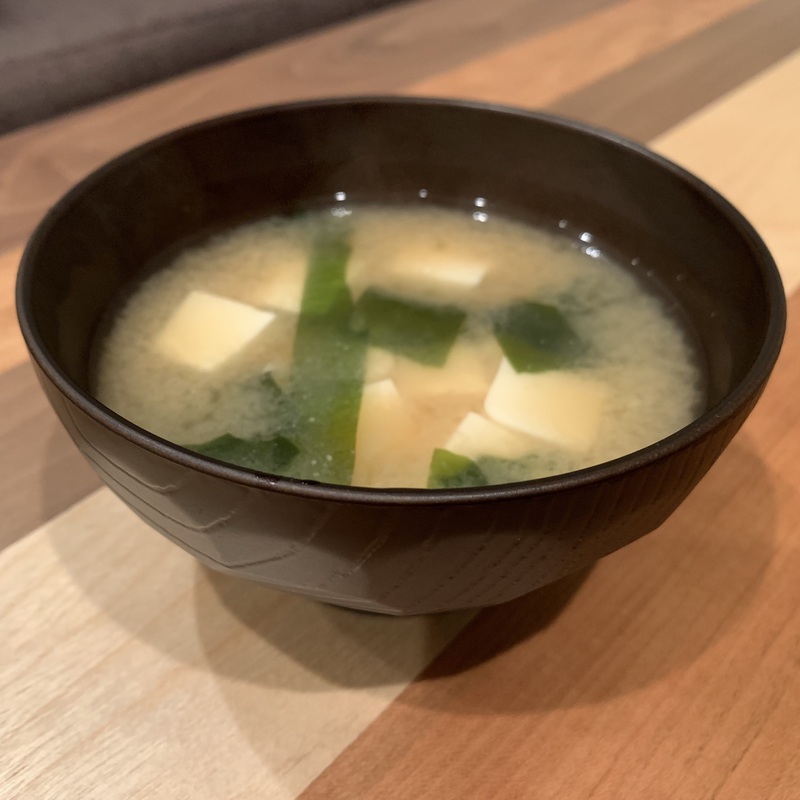 I haven’t expect how much chili oil does great job for this miso soup. 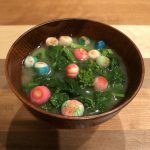 It tastes like the soup of RAMEN! I almost tried to put some kind of noodles in the soup haha. 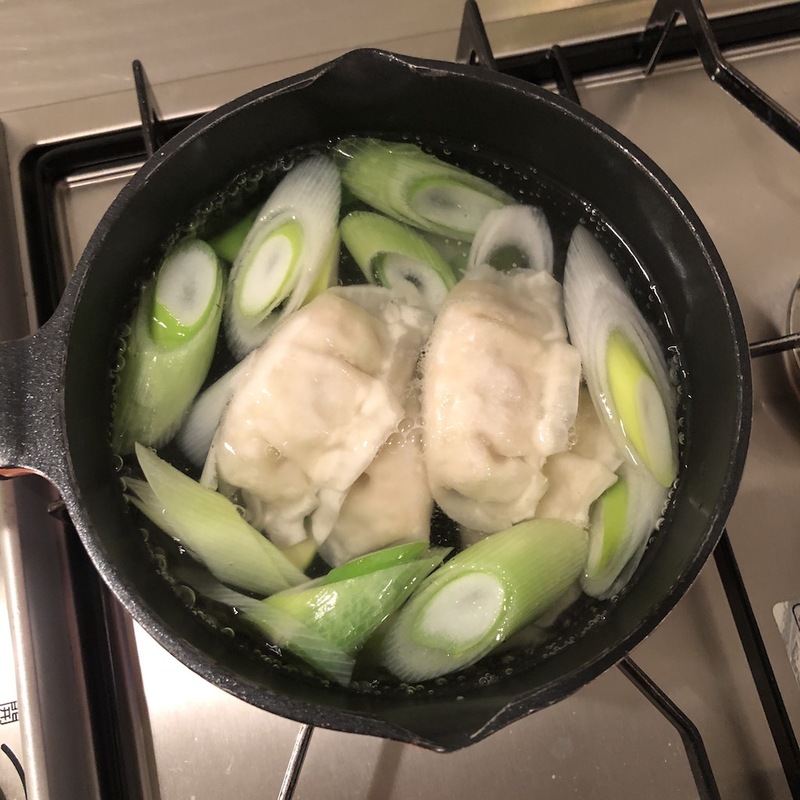 Please try this easy and excellent recipe of dumplings.